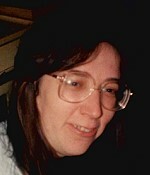 The 1990 unsolved homicide of Sheila Holmes. The body of Sheila Holmes, age 31, of Barrington was discovered on the morning of April 13, 1990 near the railroad tracks by Forest Street in Dover, NH. An autopsy determined that Sheila had been strangled and also suffered blunt force trauma to the head. Sheila also suffered multiple rib fractures and a lacerated renal artery. She was found lying on the ground in front of a blue Toyota pickup truck.